Carson High School is one of the top ranked high schools in Nevada. From our excellent student body, to the state-of-the-art Technology Center, we strive to ensure academic, social, and life-time excellence for all of our students. All visitors must check in at the main office to receive a visitors badge. CHS does not allow non-students to attend classes. In order to be on campus during school hours you must have a visitor's badge. SPRING BREAK - Carson High School is on spring break 4/15 - 4/22. The office will be open on 4/15, 4/16, & 4/17, 8:00 am- 12:00 pm. Offices will be closed 4/18 - 4/22. In an effort to minimize disruptions to the educational environment, Carson High School will no longer page students over the intercom. If you are dropping off items/lunch/notes to your student, please contact them and have them stop by the attendance office during breaks. If your student must leave during the day for any reason (medical, dental, appointment, etc.) please send your student with a note or call the attendance office the day before your student leaves. Carson High School strives to keep a quiet peaceful learning environment for all students. Thank you for your continued cooperation. If your student must leave during the day for any reason or will be absent, please review the Attendance Information under "Quick Links". 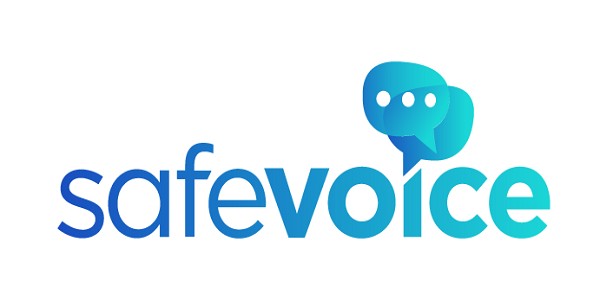 In partnership with the Nevada Department of Public Safety, the SafeVoice program provides students a safe place to submit tips concerning their own safety or that of others. A fully trained professional team of experts responds in an appropriate manner. Tips always stay anonymous. FALL 2018 sports eligibility will be determined by the athlete’s 2nd semester grades from the 2017-2018 school year ending June 2018. Fall tryouts will begin in August. Chromebook checkout for continued summer use. Any student pursuing summer learning may renew the Chromebook checkout for continued summer use. See additional information HERE. If you have a power cord that does not belong to you, bring it to the library. If your missing power cord is turned in, a message will be sent to you. During Chromebook returns, if your power cord does not have a barcode to match the Chromebook, you will be charged a $20 replacement fee. SaveMart Supermarkets continue to partner with Carson High School and PTSA to support our students. SaveMart Supermarkets pledge 3% of your grocery purchases to our school. SaveMart has moved it’s shares program to eScrip. Go to www.savemart.com/shares and enroll today. Thank you.